Artisan Real Estate believes that the construction industry is responsible for playing a leading role in environmental sustainability. We will minimise the environmental impact of our operations and supply chain while increasing the energy and resource efficiency of our developments. We fully take on board our responsibility to be lean, clean and green by protecting and caring for the environment and building strong community relationships. We aim to design and construct our buildings in such a way to reduce the impact on the environment and future proof our buildings to ensure a lifetime of sustainability. At the same time we also seek to enhance the ecology and biodiversity of all our developments. As regeneration specialists most of our sites involve the remediation and recycling of brownfield land being repurposed through sympathetic design, careful selection of materials, creative landscaping and robust management solutions. We retain old buildings whenever we can on our developments making them functional works of art. We strive to be one of the most responsible developers whilst handling waste on our sites. When have to demolish a building we will always seek to recycle materials in other parts of the development or on our other new build sites rather than sending those materials to a landfill. As inner-city developers a key characteristic of our developments will always be their proximity to public transport. We create accessible developments that integrate with existing communities thereby minimising the impact on traffic and transport. All our developments are within 100 metres of public transport and within 10 minutes’ walk of major transport hubs. We actively support and incorporate green transport policies in our developments. Low carbon alternatives have become our default position as we increase cycle storage, reduce traditional car parking, provide for car clubs and introduce electric charging points in all designs. We ensure that robust arrangements are put in place so that public realm and communal areas are well maintained following the completion of developments. 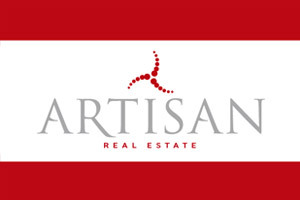 Artisan Real Estate carefully considers sustainability and environmental impact throughout the design and delivery process. All our schemes are specifically planned to reduce energy and water usage whilst minimising waste both during and post construction. Sustainable urban drainage, green and biodiverse roofs, central energy plants and innovative, non-combustible insulation amongst other features form part of all our developments.